The history of the leading manufacturer of abrasive materials in Eastern Europe PJSC "Zaporozhsky Abrasivny Combinat" dates back to March, 1939, when the first product - Silicon Carbide - was made at "Dneprovsky Carborundum Plant" (it was the name of the enterprise at that time). The plant increased the rate of production. It not only made products, but also went on building and developing new manufactures. By results of work the personnel was awarded with high decoration: challenge Red Banner. 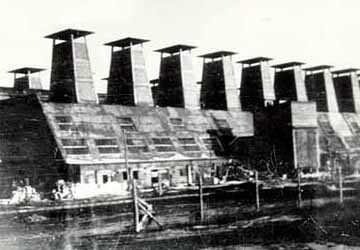 In September, 1940 the plant started to produce grinding wheels, grinding whetstones, grinding pastes, bonds for abrasive tools manufacturing..
During the War the plant was evacuated to Tashkent (Uzbekistan), and in July, 1946 the reconstruction of the enterprise on Zaporozhye industrial area began.. In 1946 the enterprise was given the new name - "Zaporozhsky Plant of Abrasive Products".. 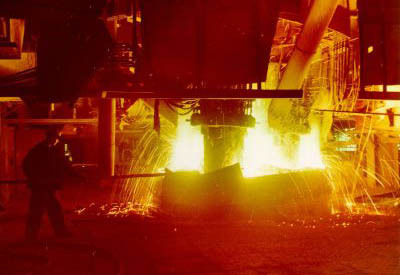 In 1952 the first furnace for fusion of brown fused aluminium oxide was started up, and in March 1954 the grinding grain shop began to work. The shop for abrasive tools manufacturing was put into operation in 1956, and in 1960 the new manufacture of refractory compounds was developed; the industrial consignment of boron nitride was produced. 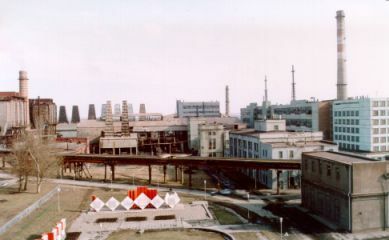 In 1966 "Zaporozhsky Plant of Abrasive Products" was renamed into "Zaporozhsky Abrasivny Combinat. The modernization and expansion of production continued. The success of the plant workers was appreciated at its true value, and on May 16, 1971 the Company was awarded with Order of Lenin.. In 1970 the unique shop for manufacturing brown fused aluminum oxide micropowders began to work. нормального. In 1973 the reconstructed shop for manufacturing silicon carbide grinding materials was put into operation. In 1976 the shop for manufacturing coated abrasives on synthetic resins was launched. It had modern equipment. In 1978 the first shop order of products made of coated abrasives and in 1984 the second order was put into operation., а в 1984 году вторая очередь. In 1979 modern manufacture of silicon carbide micropowders was started up. Since June 1982 the manufacturing of vitrified bonds began to work. In 1994 there was a change in the pattern of ownership; the Plant was reorganized into Join Stock Company "Zaporozhsky Abrasivny Combinat".. In 1998 the firm "Brinkford" purchased control packet of shares. The significant amount of investments, received from the investor helped JSC "Zaporozhabrasive" to overcome the financial and manufacturing crisis, to expand the market of sale. "Zaporozhabrasive" has its own social infrastructure: palace of culture, recreation center at the Black sea, hostel, club of young mariners, center of physical culture and recreation. The female judo team was created on the professional base in the company.. 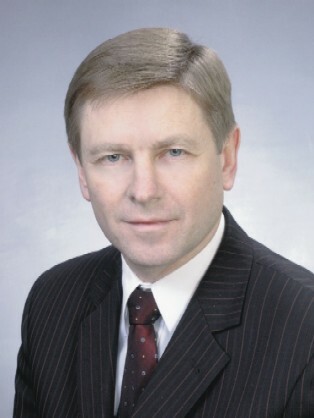 In April, 1999 Anatoly Valentinovich Bereza was appointed the Chairman of the Board of JSC "Zaporozhsky Abrasivny Combinat". Before this appointment he held the post of vice-president of the firm "Brinkford". Appearance of the new administration changed the approach to production and sales according to market requirements.